W&L’s Gene McCabe Named President of the USILA McCabe will serve a two-year term. 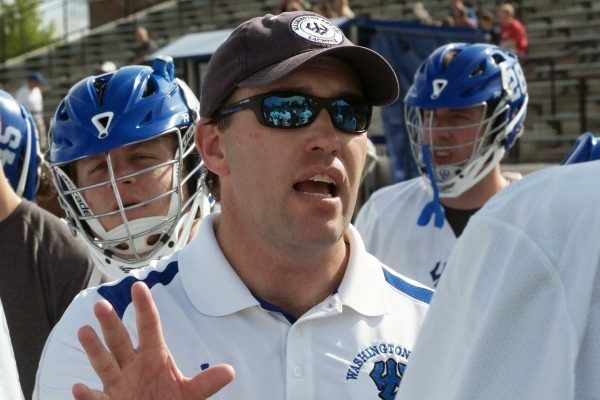 McCabe is in his 12th season as the head coach of the W&L men’s lacrosse program. He has led the Generals to a 129-68 (.655) overall record, two Old Dominion Athletic Conference Championships and three NCAA Tournament berths. McCabe can surpass Jim Stagnitta (1990-2001) as the program’s all-time wins leader with eight more victories. W&L has compiled double-digit wins in eight of McCabe’s 11 seasons to date, including a school-record 16 victories during the 2009, 2013 and 2016 seasons. The 2009 and 2016 teams both won conference titles, while all three teams advanced to the second round of the NCAA Division III Tournament. McCabe graduated from Bates College in 1995 with a bachelor’s degree in European history. At Bates, he lettered in both lacrosse and football. Founded in 1885, the USILA provides awards services to every NCAA Division I, II, and III men’s lacrosse program in the country. The association is entrusted to enhance and develop intercollegiate lacrosse by providing leadership, management, and services to its membership so that student-athletes, coaches, institutions, and other constituent groups will realize the maximum benefit from the sport of lacrosse.